So with my skin changing at such a fast pace, I thought it was time to step up my skincare range. 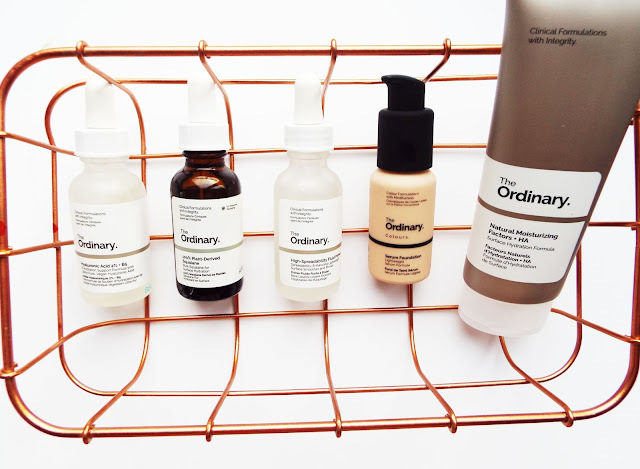 Since The Ordinary launched I have tried quite a few of their products and I have always been impressed. So my biggest skincare issue at the moment is dehydration. I thought I needed to invest in some products to really add some hydration back into my skin. Hylauronic acid 2% + B5 (£5.90) seems to have been my perfect answer. The formula claims to have different size molecules which are suppose to help penetrate instead of sitting on the surface of the skin, therefore adding hydration to all the layers of the skin. To add some more hydration I picked up the 100% plant derived squalane (£5.50). This contains a high level of emollients which are suppose to once again be great at providing hydration but also prevent any loss of hydration already in the skin. Squalane is non-comedogenic which is supposed to reduce potential breakouts. I have previously tried one of their primers when my skin was much oiler and I enjoyed using it. This time I decided to order their high spreadability fluid serum (£5.50), this is a fluid serum which comes with a peppet. This acts as the perfect last step before adding any base makeup products; therefore I want a light, hydrating primer which is going to be perfect for my makeup to settle on to. I have tried this quite a few times and I am enjoying using it. It is a little bit thicker than I thought it was going to be, but it does work well especially for drier skin. This contains silicon which is supposed to be the stand out product, as it adds a little bit of glow and life back into the skin. 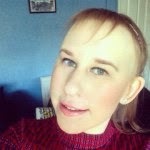 Once again when I had oiler skin I tried their full coverage foundation which I thought was a good foundation, I wrote a whole blog post about it here. This time round I decided to try the Serum foundation (£5.70), which offers a lighter medium coverage. This shade range is fantastic and comes in 21 shades, I choose the shade 1.1P (light skin with pink undertones). This applies easily across the skin with my beautyblender and blends well into my skin. This has a semi-matte finish which has occasionally clings to the dry patches on my skin, but all of my foundations have been doing this at the moment. For the price this is a good foundation and I think this will be a go-to foundation in the summer for me, it contains SPF15 and it is lightweight enough for it not to feel too heavy on the skin. This Natural moisturising factors + HA was one of the first products I ever bought from the brand. I originally bought this in the 30ml size as I wanted to trial it to see if it suited my skin or not. When I re-bought it this time round I got it in the bigger 100ml size and it cost just £6.80, which is such great value for money. The formula to this moisturiser contains 11 different amino acids which are aimed at helping the skin in lots of different ways. This also contains hyaluronic acid which is once again a hydrating agent. What I like about this is that it doesn't have a greasy texture. It has a smooth creamy consistency which is quite thick but still applies well to the entire face. Have you got any skincare recommendations from The Ordinary?